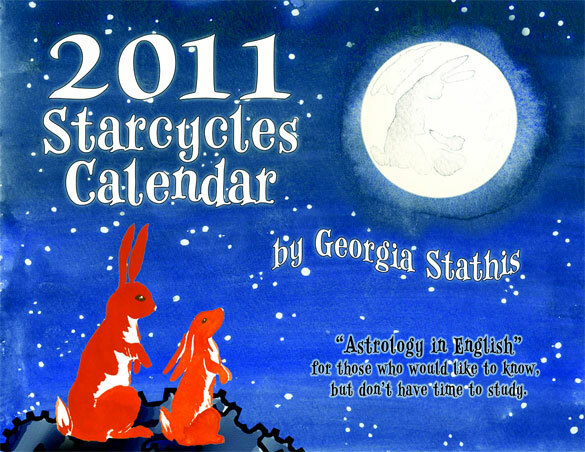 Way back in 1999, Georgia Stathis first approached me to take over the design on her then-print astrology dayplanner-style calendar. We’ve skipped a few years here and there, but this year I painted several images in watercolor and then put them together with Photoshop to create this dreamy image for Year of the Rabbit. 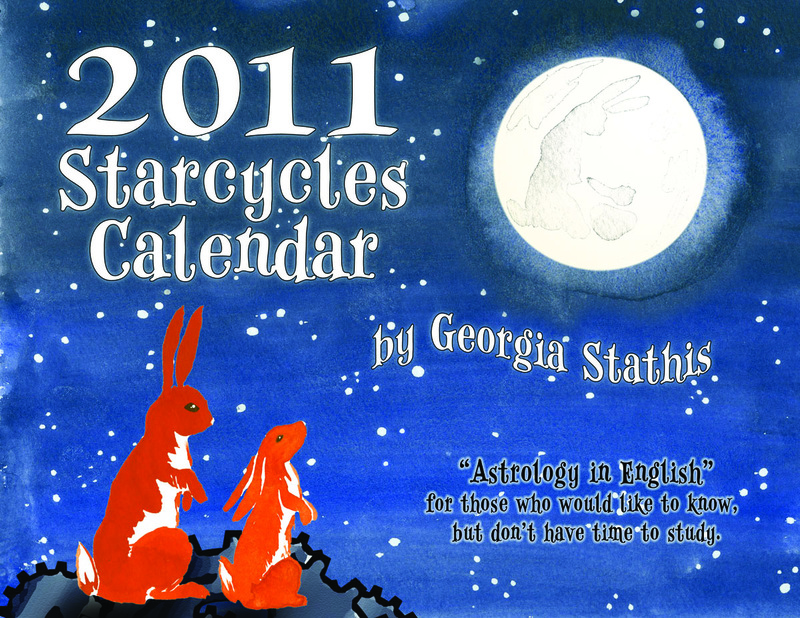 Georgia’s 2011 Calendar is available as a pdf download, or she’ll print and bind them for an additional charge. 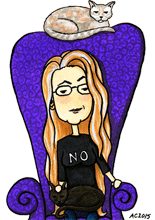 You could even print your own and have it hole-punched to fit in a Dayplanner, if you wanted. I’m just starting to get a feel for using watercolors, so this was a great excuse for me to get them out and experiment, knowing I could fix any issues in Photoshop later. My favorite part is the subtle “rabbit in the moon” version of the moon’s shadows popular in Chinese mythology.